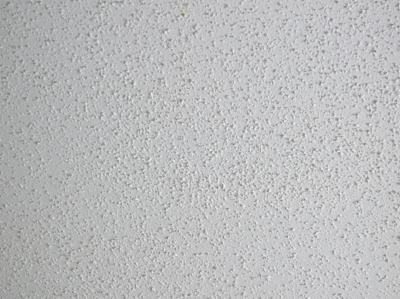 Popcorn textured walls and ceilings used to be a fad in home design back in the day. Many old houses have this kind of wall and ceiling design. They add interest and texture to an otherwise blank and boring wall. If you recently bought a house that has popcorn textured walls or ceilings and you’re not a fan of these types of designs, there is still a way to remove it without resorting to breaking down the ceiling or wall and redoing everything. Two things you can do to remove them are doing it yourself and hiring a professional to do it. Removing the popcorn texture on your walls or ceilings should be easy if they have not been painted on. Simply apply warm water to walls and they should dissolve easily. Popcorn texture was made with highly soluble materials back in the day. If your popcorn walls or ceilings are already painted on, you must not attempt to do it yourself immediately. Some old houses used asbestos in creating this kind of texture. When you remove the offending wall on your own, you could be exposing yourself to harmful asbestos. Asbestos can cause cancer in certain people. A professional contractor should be called upon if you are trying to remove popcorn texture from an old house. Houses that were built in the 70s and older tend to have asbestos included in their paint ingredient. If your house was built during the 1970s to early 80s, you might want to hire a professional who can handle the asbestos. Hiring contractors will mean more free time for you to do things that you love. You can lounge around the house with no care while someone else takes care of your house for you. Contractors are also more efficient and more experienced in handling projects like this. They will be able to complete these things in no time. Popcorn textures may be reminiscent of the old days but the look of these kinds of walls make it feel tired and old even if you try to coat it with a new paint. If you prefer a more modern looking home, you should try to remove the popcorn textured walls and ceiling from your house ASAP. Your house is your investment and you should never compromise on quality. Hire a professional to do your popcorn textured walls and get an amazing room in no time.